Restaurants usually have huge ovens that can bake large quantities of things in a less time to cater a large number of customers. Ovens ensure healthy cooking unlike deep frying and pan frying that leads to heart problems. So, it becomes essential to purchase good quality ovens that can function properly and last long. It is essential to find the right oven that can fulfill the kitchen requirements of a restaurant. Chef's Deal has a range of ovens including the common ones to unique ones. Before going to the shop for purchasing oven, it is necessary to decide itstype, the features that are needed as well as its pros and cons, so that it becomes easier to make the right choice in the shop. The various types of available ovens are electric ovens, normal gas ovens for faster preparation of meals, pizza ovens especially for the preparation of pizzasChef's Del makes sure that the requirements of the customer are met by providing them with high-quality ovens in order to prevent any dissatisfaction in the future after the purchase. The store has all type of superior standard equipment supplies, at an affordable price that a restaurant would need, making it the one-stop destination for all its requirements. The various types of commercial ovens available. It includes the flame powered or electricity powered cheese-melter oven, that looks like a toaster and is used for providing finishing touch to the food with cheese topping. Another type is a simple convection oven that works by dry heat and allows alteration of temperature and baking options. Combi oven is also available that has 3 types of functions, i.econvection cooking, steam cooking in which water is injected into the oven to cook food like poaching fish with rice and vegetables and the combination mode that uses both the above modes of operation.Sometimes, small restaurants need just to heat the food fast and bake food, in a small amount of space. For this purpose, there is countertop oven. One can find a variety of shops selling the used ovens for restaurants, but, not every store doesn't necessarilyprovide good quality products. 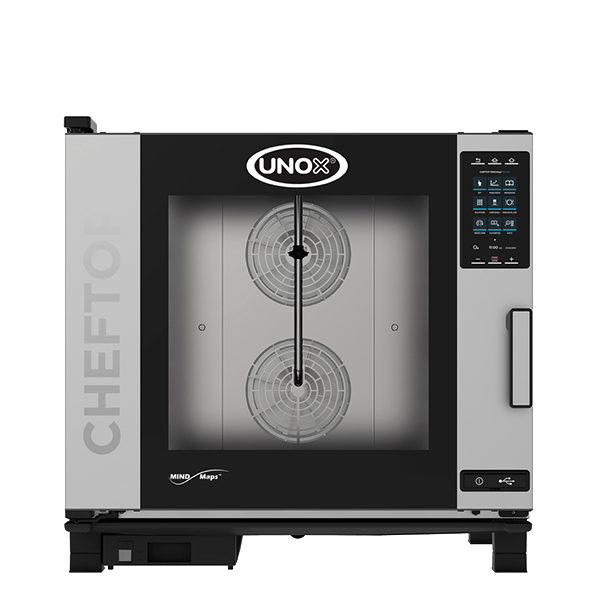 The products provided by Chef's Deal undergo an extensive quality check and are certified to have a superior quality that can last longer without causing any problem while operating them. Even the team of experts in Chef's Deal respond to the problems faced by the customer after purchasing a product and provide immediate replacement or repair in case of a faulty product. But this is not the case with all the stores. They can provide poor quality products that would break and would not provide after sale service also, causing a lot of problems for the customers as well as wasting all their investment. Thus,one should opt to purchase best quality products at the lowest price in the market from Chef's Deal due to its reliability and trustworthiness.